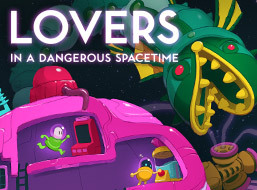 We first encountered this limitation when we were trying to implement a world map in Lovers. 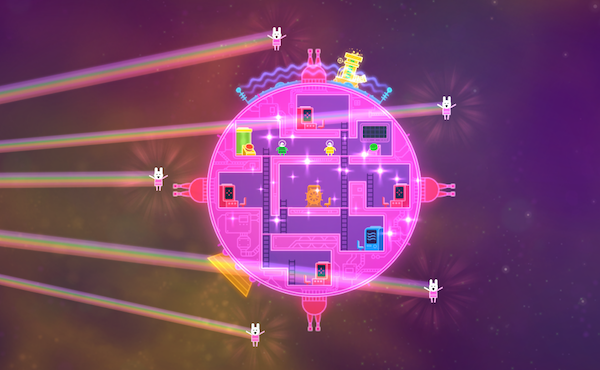 When the player enters the ship’s map station, we display a overlay of the current level. Since the map obstructs the ship and, as such, inhibits gameplay, we needed to pause the game while the display is visible. However, a completely static map screen would make it difficult to convey information (and also look pretty dull). In order to achieve our goal we needed a separate way to track how much time has elapsed since the last update loop. As you can see above, the game action is paused when the map appears, but the icons on the map are still animating. 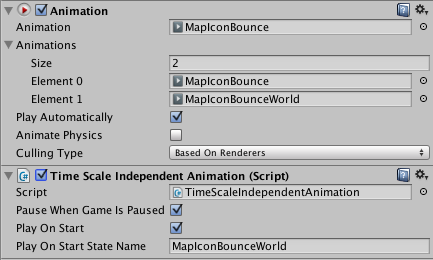 This sequence relies heavily on the TimeScaleIndependentWaitForSeconds method of TimeScaleIndependentUpdate, which approximates Unity’s built-in WaitForSeconds method and is extremely useful for creating coroutines.